We're excited to launch a new mini-exhibition at the ArtStarts Gallery. Upstairs, in our Mezzanine Gallery, there's a world of creativity to discover, tucked into the colourful pages of The Sketchbook Project. 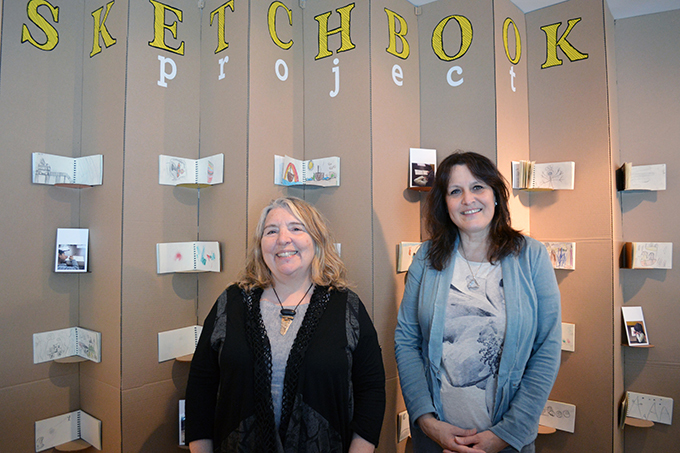 The Sketchbook Project was an opportunity for students to participate in daily drawing, inspire confidence in drawing skills and learn ways to talk about art. 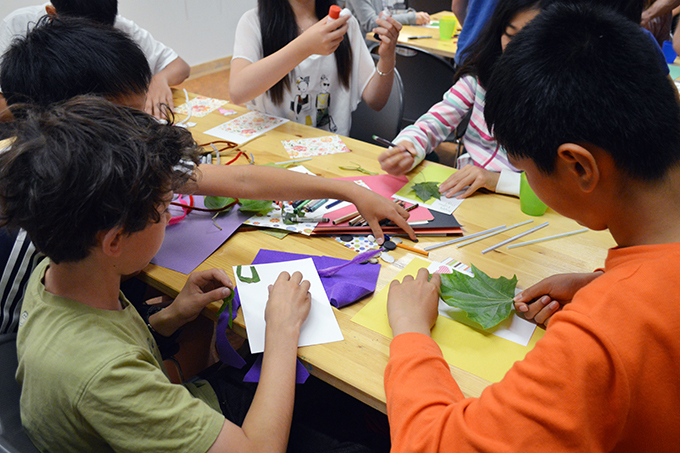 Students from Sir Alexander Mackenzie Elementary, Queen Mary Elementary and General Wolfe Elementary in Vancouver participated in this year's Sketchbook Project. 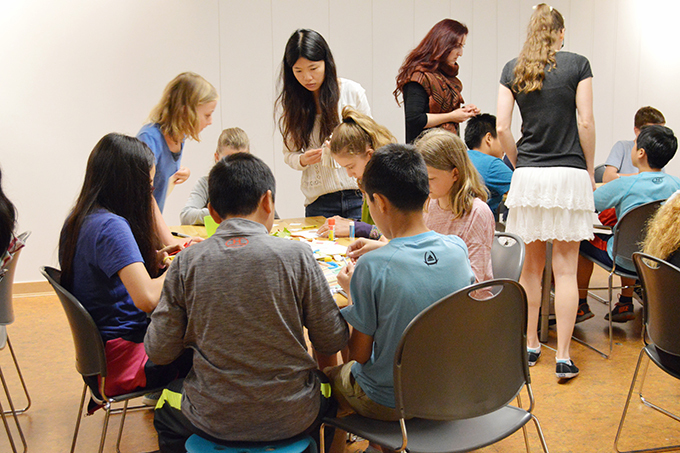 This project is a joint venture between ArtStarts, the University of British Columbia (Community Field Experience Teacher Candidates) and the Vancouver School Board (Peggy Bochun, District Fine Arts Coordinator and Phyllis Schwartz, Artist in Residence). Drawing is a language that allows students to focus and formulate thoughts that transcend spoken and written language. When students are able to visualize solutions to problems, creativity emerges from their drawing tools. When younger students wished they could run faster or swim freely, they were able better able to verbalize after drawing them. For example, the students who wanted to run faster drew ostrich legs and extra feet; the students who wanted to swim better drew mermaid fins. Visual art is also a universal language that transcends social, cultural and language barriers. Students exploring English idiomatic expressions had the opportunity to play with, draw and learn new understandings of common idioms such as hit the hay, wild goose chase, on the fence and go out on a limb in a humorous and creative way, by drawing first their literal meaning and then learning the meaning of the idiom as it is used in the English language. This opportunity to first visualize the expression allowed students to empathize and explore the difficulties of not being able to express oneself. "Daily drawing is critical to helping students acquire literacy skills," says Peggy Bochun. 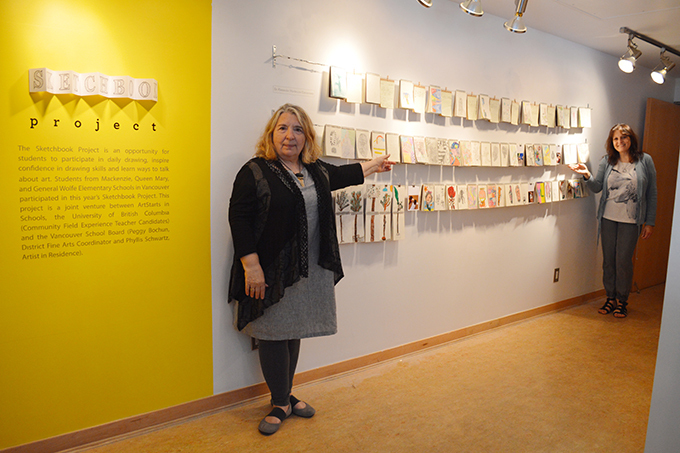 She credits UBC Professor Emeritus Bob Steele for decades of work inspiring art teachers and students about the long-term benefits of drawing projects. Steele says that the importance of drawing at an early age cannot be underestimated. 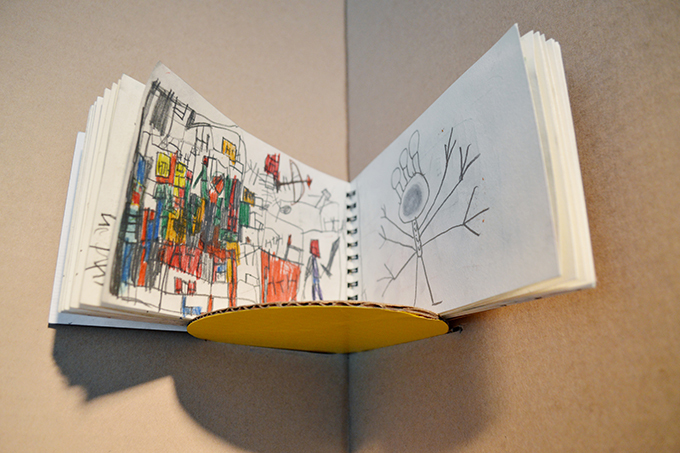 The Sketchbook Project extends the research of Bob Steele, who continues to promote the importance of daily drawing and links it profoundly to the development of literacy skills. "When drawing is nurtured," says Steele, "the benefits flow: intellectual development, mental health, mental healing, more effective learning, empathy for others and bonding with caring adults." 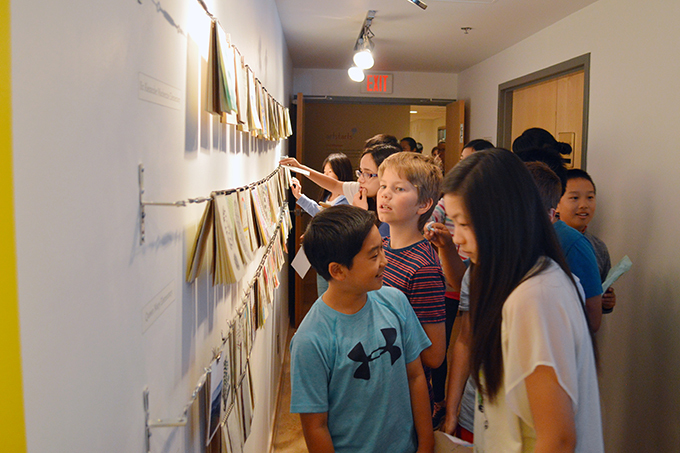 On June 17, 2016 we welcomed students from Queen Mary Elementary and General Wolfe Elementary to celebrate the opening event of The Sketchbook Project. 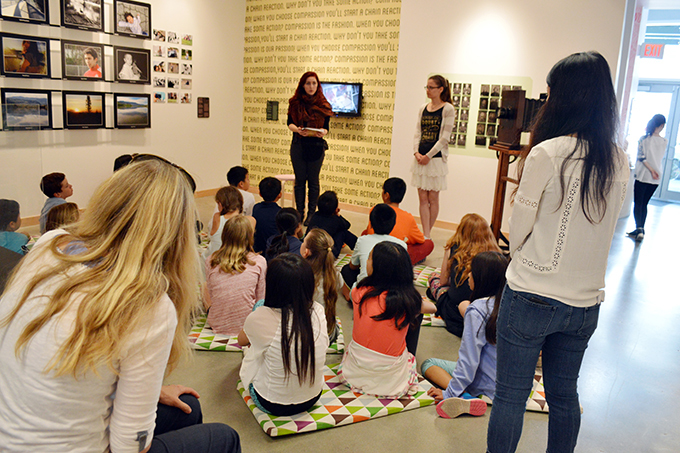 UBC Community Field Experience practicum students designed and presented gallery tours of the current View Finders exhibition along with an exploration of The Sketchbook Project. 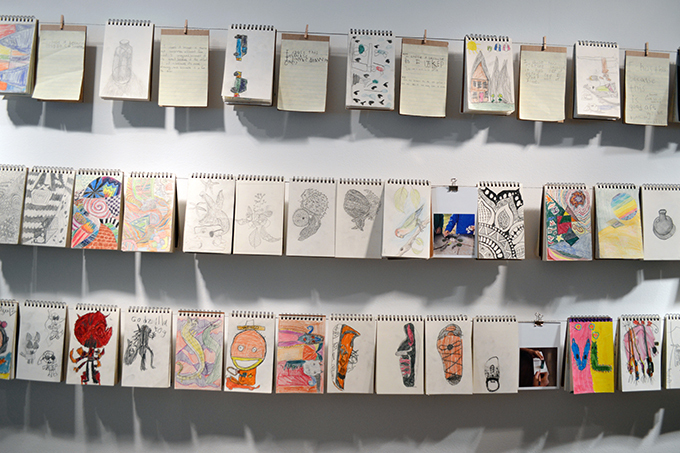 This exhibition showcases 100 sketchbooks containing drawings created during their daily sketchbook drawing sessions. 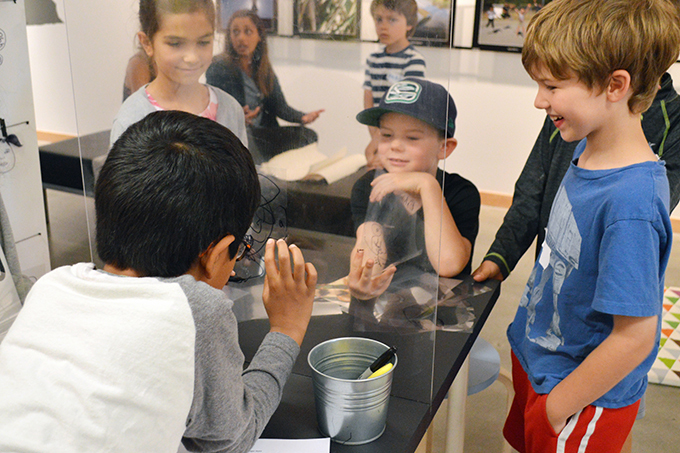 Students from these two schools explored interactive components of the exhibition and created drawings during the workshops as they also experienced immeasurable pride, joy and a sense of membership when they saw their work on display. The highlight was getting to learn about how to draw, which made me happy and excited for each day we had drawing class. I learned that even without a pencil you can still create art with nature objects. The highlight of this project is when I started drawing I thought I was bad but I surprised myself and did some awesome work. The highlight of this project was when we get to use real professional pencils. I felt like a real artist! I hope I get to do it again soon! My favourite drawing was when we had to listen to sounds and then draw them. The highlight of this project was sitting in a tree drawing a tree. The highlights of this project were: to improve all of us sketching; to let us see the beauty in sketching; to let us hear and feel things outside and then sketch it. I like learning the new awesome ways to draw stuff with nature. I enjoyed using natural objects to make cool pictures. I sure do wish I can do this whole program again! 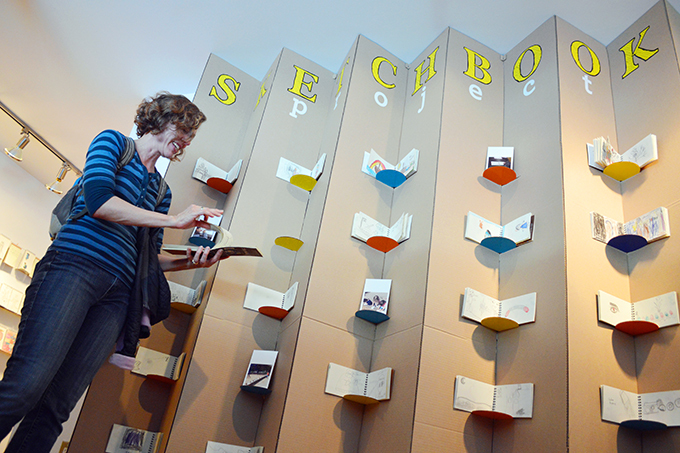 Visit the ArtStarts Gallery to explore The Sketchbook Project for yourself! The ArtStarts Gallery, located at 808 Richards Street in downtown Vancouver, is open Wednesday to Sunday, from 10am to 4:30pm. Gallery tours are also available for groups. Admission is free and all ages are welcome. 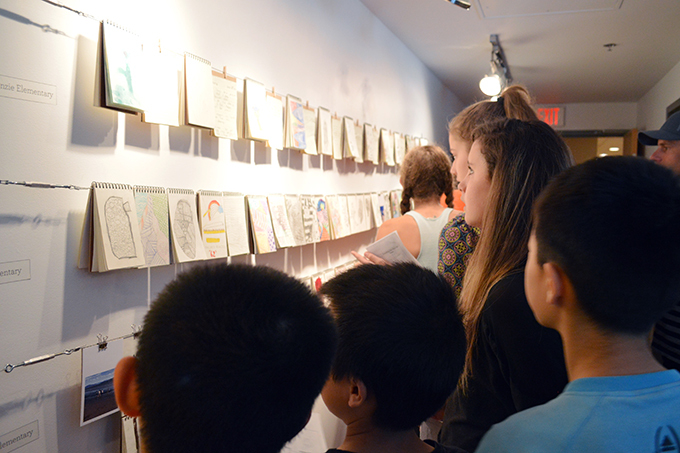 You can see some photos from the exhibition and opening and read more about The Sketchbook Project on the Vancouver School Board website.